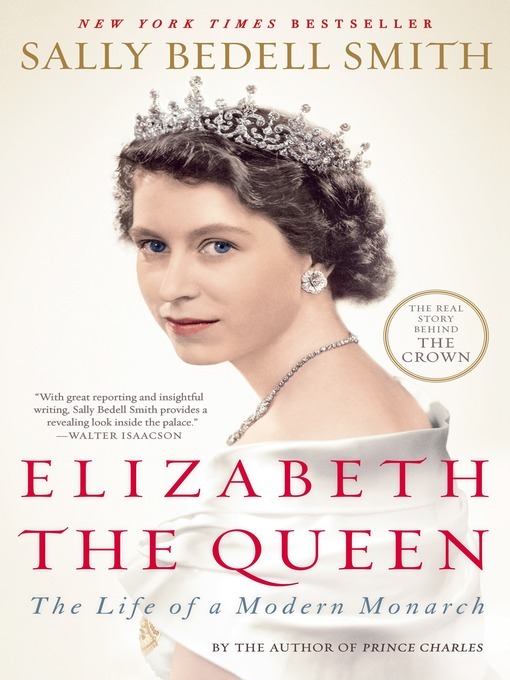 Perfect for fans of The Crown, this magisterial biography of Queen Elizabeth II is a close-up view of the woman we've known only from a distance—and a captivating window into the last great monarchy. In Elizabeth the Queen, we meet the young girl who suddenly becomes "heiress presumptive" when her uncle abdicates the throne. We meet the thirteen-year-old Lilibet as she falls in love with a young navy cadet named Philip and becomes determined to marry him, even though her parents prefer wealthier English aristocrats. We see the teenage Lilibet repairing army trucks during World War II and standing with Winston Churchill on the balcony of Buckingham Palace on V-E Day. We see the young Queen struggling to balance the demands of her job with her role as the mother of two young children. Sally Bedell Smith brings us inside the palace doors and into the Queen's daily routines—the "red boxes" of documents she reviews each day, the weekly meetings she has had with twelve prime ministers, her physically demanding tours abroad, and the constant scrutiny of the press—as well as her personal relationships: with Prince Philip, her husband of sixty-four years and the love of her life; her children and their often-disastrous marriages; her grandchildren and friends.